Catherine is an Associate Professor at RMIT University in Melbourne. She was an Australian Research Council Early Career Research Fellow and a Visiting Research Fellow at the Singapore Management University. Her work covers migration, transnationalism and diasporas, particularly transient migration in Australia and Singapore with special interests in international students, their wellbeing, their social networks and their media and communication use. In addition, Catherine has written on identity, gender, ethnicity and race in Chinese cinemas. Catherine is founding editor of Transitions: Journal of Transient Migration (Intellect Books) and leader of the Migration and Digital Media Research Lab in the Digital Ethnography Research Centre (DERC) at RMIT. 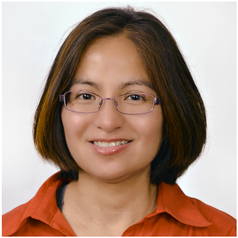 Her books include: Transient Mobility and Middle Class Identity: Media and Migration in Australia and Singapore (Palgrave Macmillan, 2017), Quality Assurance in Asia-Pacific Universities: Implementing Massification in Higher Education (co-edited with Deane E. Neubauer, Palgrave Macmillan, 2017), Multiethnic Southeast Asia and Social Media: Identity, Ethnicity, Community and Migration (editor, Anthem Press, 2017), International Student Connectedness and Identity: Transnational and Trans-disciplinary Perspectives (co-edited with Ly Thi Tran, Springer, 2017) and Multiculturalism through the Lens: A guide to ethnic and migrant anxieties in Singapore(2015). Catherine also teaches Asian Studies and Communication Studies at RMIT University.